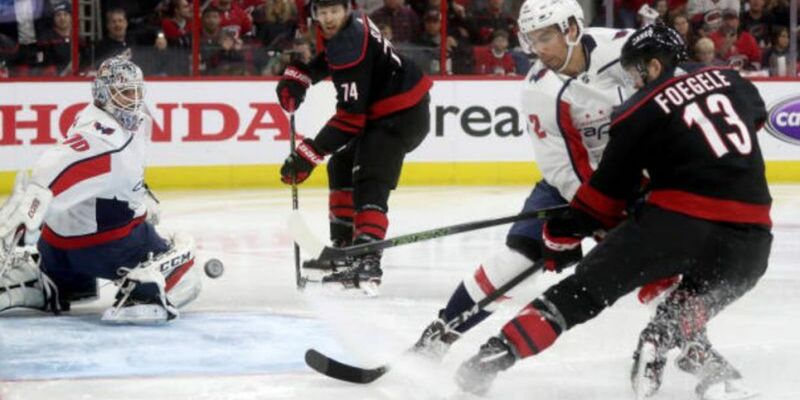 The six-time All-Star was acquired from Arizona this week and will earn $14.5 million in the final season of a seven-year deal that will pay $46 million, including a $1 million assignment bonus for the trade. If he doesn't sign a new contract, he would be among the top free agents next offseason. 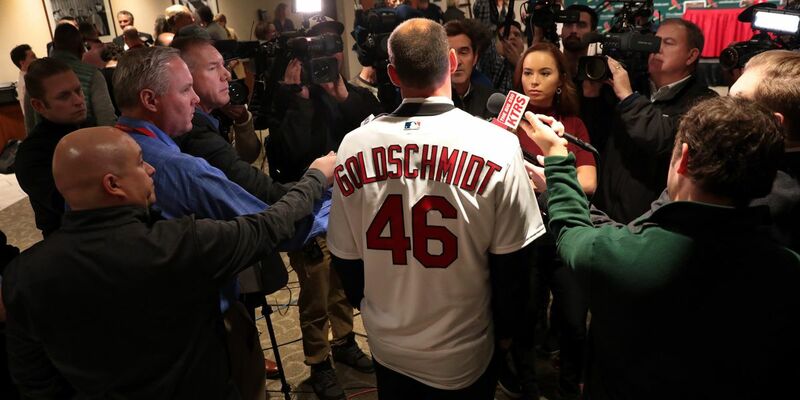 "Try not to have any distractions, so anything like that won't be on my mind," Goldschmidt said at his introductory news conference Friday. "I think the biggest thing is I'm excited to be here, excited to be part of this team and organization and just focused on getting ready for spring training and opening day and the season and trying to help us win." "It's always hard to pencil out these types of deals when you only have one year of control," president of baseball operations John Mozeliak said. "When you think about where the Cardinals are, I've always sort of been one of those types of people who thinks about the bigger picture. This was a different type of deal for us. It was clearly about trying to position the 2019 team to be more competitive. Goldschmidt did not rule out any contract talks with the Cardinals, saying his longtime preference has been to "keep anything private." "The Cardinals have had some impressive first basemen over the years," Cardinals chairman Bill DeWitt Jr. said, citing Johnny Mize, Stan Musial, Bill White, Orlando Cepeda, Mark McGwire, Keith Hernandez, Albert Pujols and Matt Carpenter. "Paul is a perfect fit for our club," DeWitt added. "Last year, we won 88 games. Had a wonderful second half — struggled in the first half and were so close to the playoffs, We felt like an additional impact player could put us over the top." "We couldn't find anything negative on him. Nothing," Mozeliak said. "He loves baseball. Loves to play the game, plays it right. And when you think about the St. Louis Cardinals, he just sounds like the perfect fit." "This was the closest to 44 that wasn't taken. I didn't want to take anyone's number," Goldschmidt said. "Honestly, I got 44 just because it was hanging in my locker. I never made any requests for a number. Just figured I'd keep something close to it." "I don't know a player in baseball that doesn't want to play here," he said. "There's certain organizations that are just known for greatness and this is one of them. I loved Arizona. It's been home for me. It's the only organization I ever knew and I loved everything about them. From the top, ownership, all the way down to all of the coaches, to the employees, the people that took care of the family, who took care of my kids, it was amazing." Carpenter will move across the diamond to third base. Mozeliak said it was "probable" that the Cardinals starting eight position players already are on the roster and the team will focus on more left-handed relief pitching and a left-handed bat.